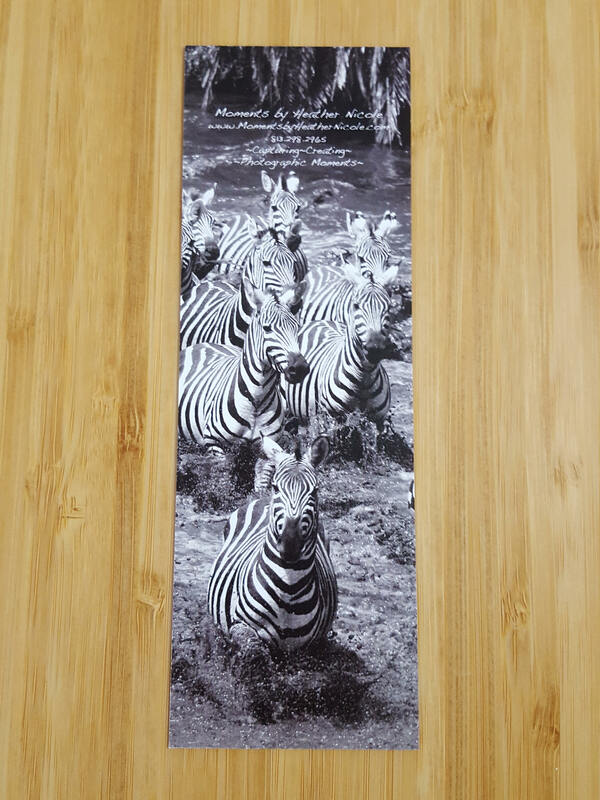 This image of zebras running through a river sets an adventurous scene for all readers on this double-sided bookmark. This image was taken during an exciting photo safari in the Serengeti. 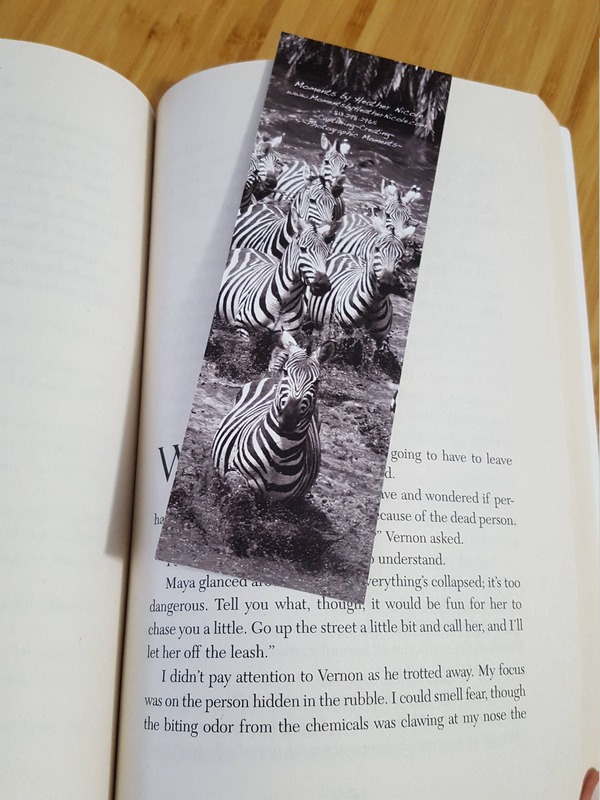 Makes a great gift for all readers!